The thing that separates this Mini 290 6-Axis FPV Racer Pure Carbon Fiber Hexacopter Frame from our rest of Multirotor Frames is the use of 100% pure carbon for manufacturing this Hexacopter Frame. This Hexacopter Frame is made up of 100% 3K TWILL carbon fiber. This Mini290 6-Axis FPV Racer Pure Carbon Fiber Hexacopter Frame has the great balance between strength and weight. The frame is an excellent example of value for money. The materials are proven for striking the fine balance between strength and weight parameters. They have pure carbon fiber arms of thickness 3mm which eliminates arm breakage at the motor mounts on a hard landing. The frame has the wheelbase of 290mm and weighs around 180gm. 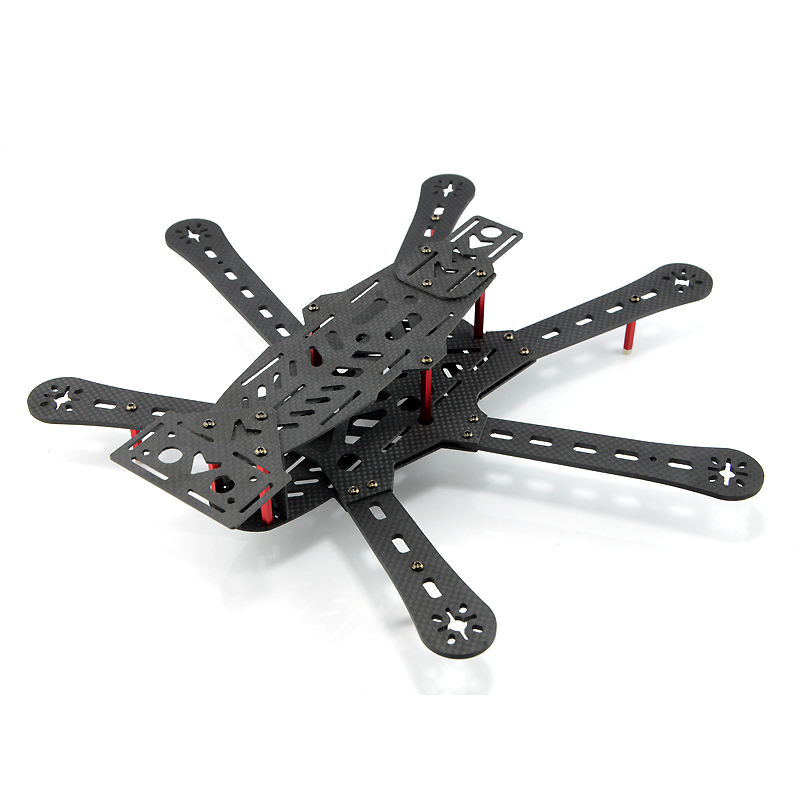 The Mini 290 6-Axis FPV Racer Pure Carbon Fiber Hexacopter Frame is specially designed for racing drones and has lots of space for mounting all the required components. This frame is ideal for mounting Cameras and other accessories. This pure carbon fiber is ideal to withstand your punishing racing drone standards. Made by 100% 3K Twill super strong and lightweight carbon fiber.